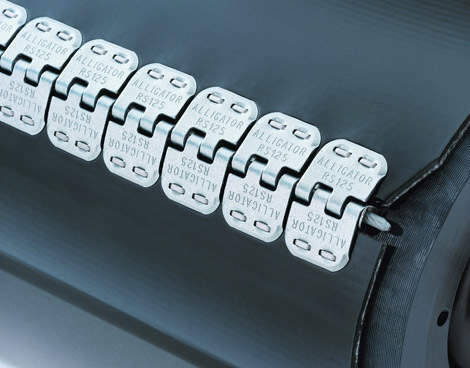 From check-in conveyors to standard transport conveyors, the most respected name in belt conveyor solutions is Flexco. Flexco products set the industry’s highest standards for design, ease of installation, and reliability. Airports around the world turn to Flexco for belt conveyor solutions that help maximize uptime, productivity, and safety. We offer the most comprehensive selection of quality belt maintenance products in the industry. We also provide customers with unsurpassed product and application support. 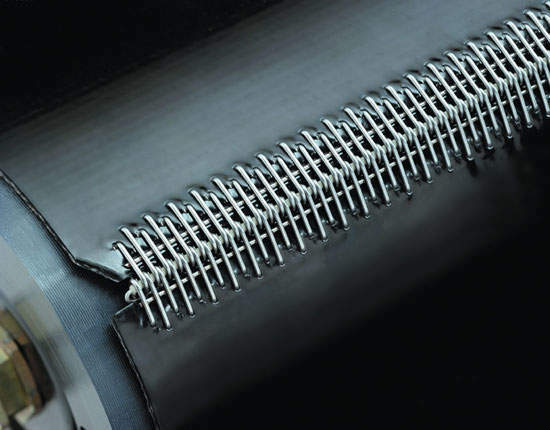 New to the Flexco line of fabrication solutions is endless splicing. Capable of splicing, separating, and punching, the Flexco Ply 130™ separator, Pun M™ mobile finger punch, and Aero™ Press combine to make endless splicing faster, easier, and more cost effective. Endless splicing offers a smooth, fully-integrated splice with minimal risk of snagging, tearing, and other harmful wear to the conveyor, making for a longer splice life. 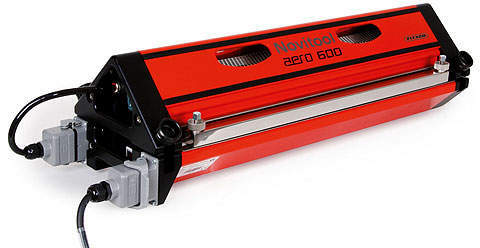 When scanning baggage, endless splicing will not interfere with metal detection scanners or snag luggage. Unlike other endless splicing presses, the Aero Press can install endless splices in as little as eight to twelve minutes per splice, meaning less downtime. A reliable belt splice can be installed in approximately 20 minutes. All installation tools are lightweight and they have been designed to be used directly on the conveyor. Quicker installation means less downtime and greater productivity. Mechanical fasteners can be installed on-site and typically require only one installer with basic technical skills and simple installation tools. Because a mechanical splice is visible, any wear or deterioration is immediately apparent. Replacement or repairs can be scheduled during brief periods of downtime or at the end of a shift. For quick splice installation, rely on Clipper® wire hooks. Since its inception, the Clipper wire hook system has earned a reputation for continued innovation and proven performance. Clipper wire hooks have been designed with a variety of different wire diameters, leg and point lengths, metals strip lengths and styles, such as Unibar® and carded. All Clipper splices are machine applied for quicker downtime and greater consistency with installation of the splices. 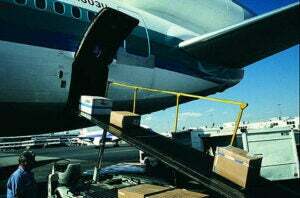 Typical applications are transport baggage systems, check-in conveyors and mobile loading conveyors. Alligator® staple fasteners offer simple installation and strong, long-lasting splices. The Alligator staple splice gains its strength from the compression fit of the plate onto the belt and the ability of the staples to cleanly penetrate through and cross-clinch on the underside. Alligator Ready Set™ staple fasteners are available in both steel and stainless steel, with the staples pre-staked into the fastener for quicker, easier installation. Typical applications are transport baggage systems, check-in conveyors and mobile loading conveyors. Increasing demands for security scanning belts have increased the need for a non-metallic splice. 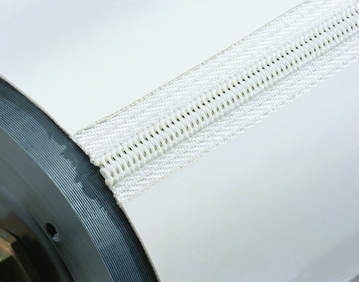 The Alligator spiral lace is a low profile, non-marking, hinged splice that is ideal for security belts. Alligator spiral lace is vulcanized into the belt by belt fabrication shops. It is available in a variety of sizes, and in either black or white materials. Typical applications are security X-ray scanning belts. In addition to mechanical fasteners, Flexco is also the source for a complete family of belt maintenance tools such as the new Roller Lacer® Gold Class™. This versatile and portable tool is designed for fast, easy lacer installation. It significantly reduces operator fatigue and minimizes downtime without sacrificing precision. It can be driven by a cordless drill (18V or higher) or operated manually with a handle or ratchet in emergency situations. The new Clipper Roller Lacer Gold Class is approximately 12 in (300mm) longer than the standard roller lacer, which allows for extra stability when placing the lacer up on sidewall pans for on-site installation.